I've been wanting a gold leaf top coat for ages now. In fact it was two years ago when I saw the notorious OPI The Man With The Golden Gun that I knew I had to have one. But it always seemed like something too expensive for me to get and then there were other companies that brought out gold leaf top coats but none of them were available to me. I even tried to create my own a few months ago, but it was a big disaster because the "gold leaf" I used melted completely after sitting for a few hours in the top coat. Finally a month ago I found the Jessica one online for a decent price and decided to splurge as a birthday gift from me to me. I waited patiently and got the post notification a couple of days before my birthday. So I went to the post office and after waiting for an hour in line I realized they had lost my package. They couldn't find it where it was supposed to be and after they searched for 40 minutes I had to leave and hope that they would call and let me know if they found it. They did find it a few days later so I went and picked it up. After all, all is well when it ends well but I didn't get to wear it on my birthday and now I have a bittersweet feeling about all this. 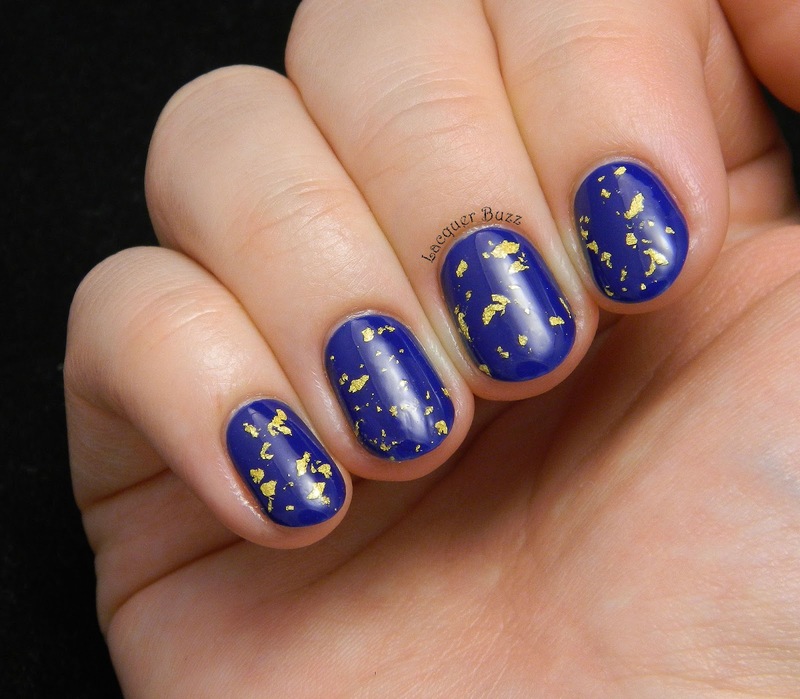 I decided that my very first gold leaf manicure had to be over a blue base. Since navy goes well with gold I picked China Glaze Man Hunt and I think they look great together. 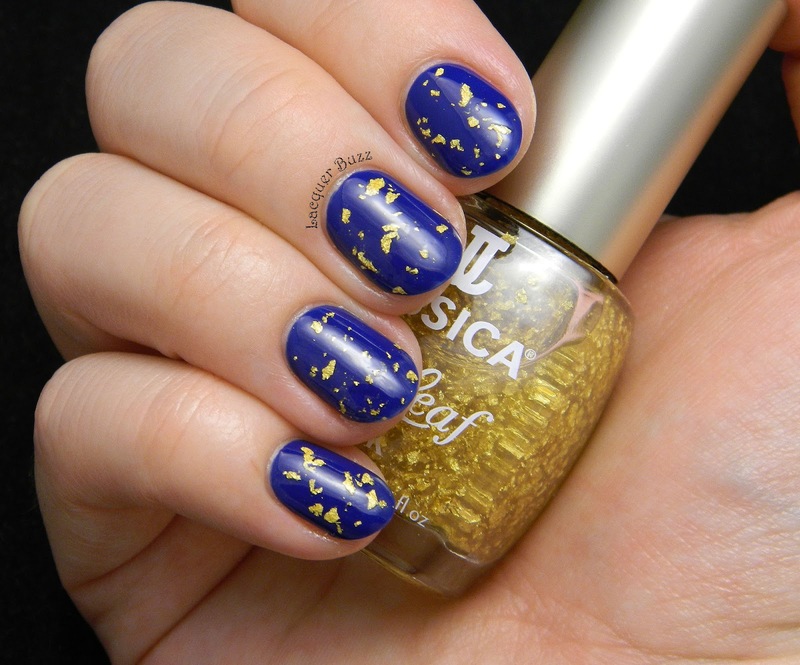 What I love about this top coat is the fact that the gold leaves are bigger compared to others, so it really does look like you have larger pieces of gold on your nails and not just tiny gold glitter. 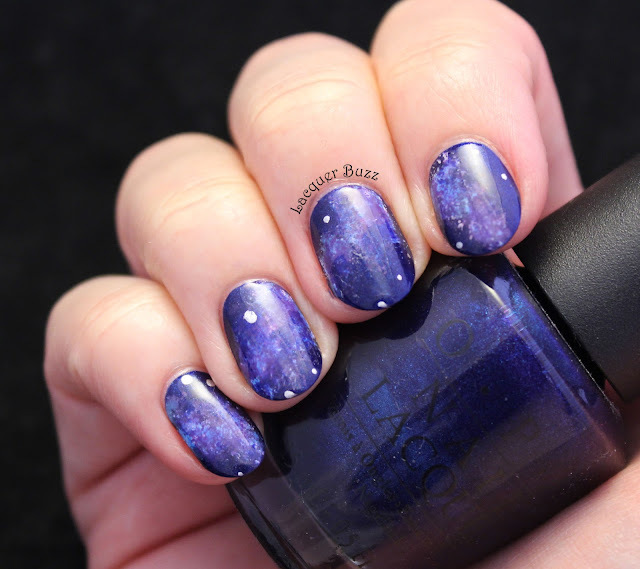 What I'm not a big fan of is the fact that it's hard to get a good amount of them on the nail. They tend not to stick to the brush properly and you end up with a ton of top coat on your nail before you can get a good amount of gold leaves. 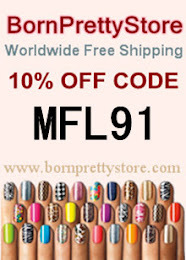 This can lead to bubbling which I did have on a few areas of my nails. I think two thinner coats are better than a thicker one. 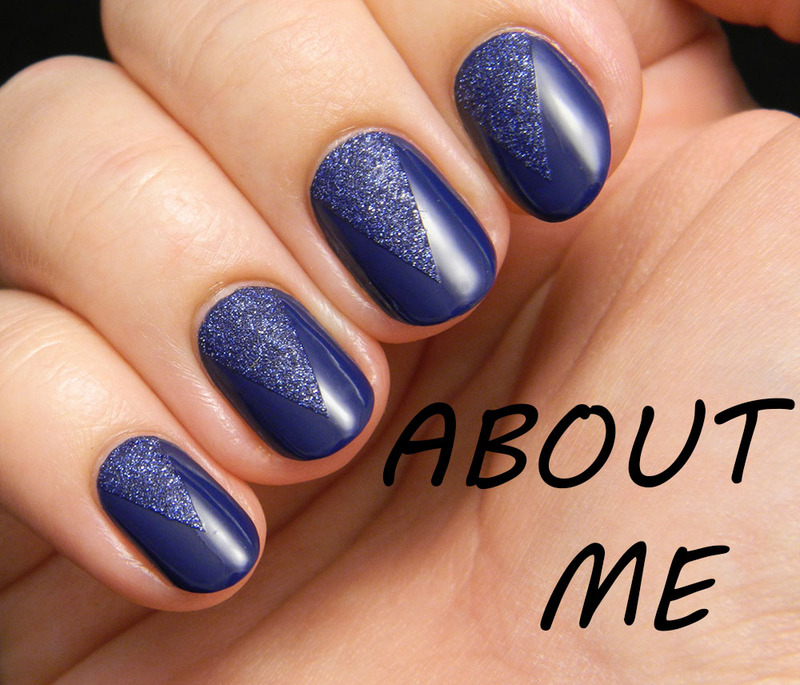 I felt really special and elegant wearing this manicure on my nails. Even if I got it later than I was supposed to, I'm still very happy to own this top coat and I can't wait to try different combos with it. It's gonna be great for the holidays as well! 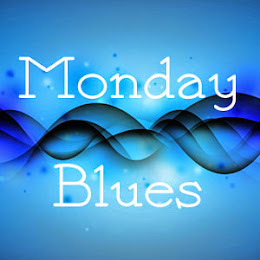 Until then, I would like to remind you that you can check out the other Monday Blues of December in the links below! 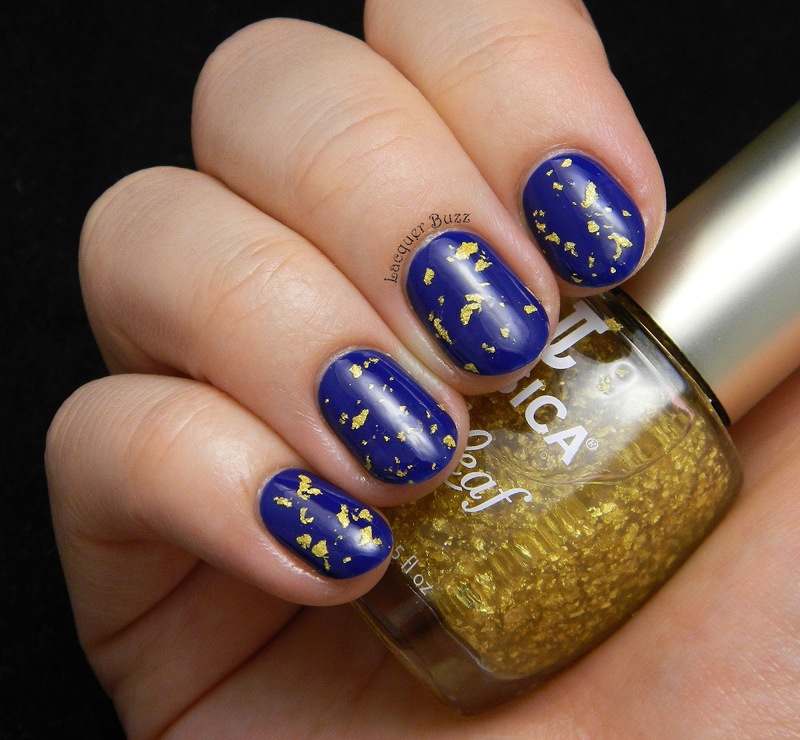 The gold flake top coat looks great over that deep navy blue. Very nice. The jessica 18k gold leaf is wonderful. It looks great with every color! 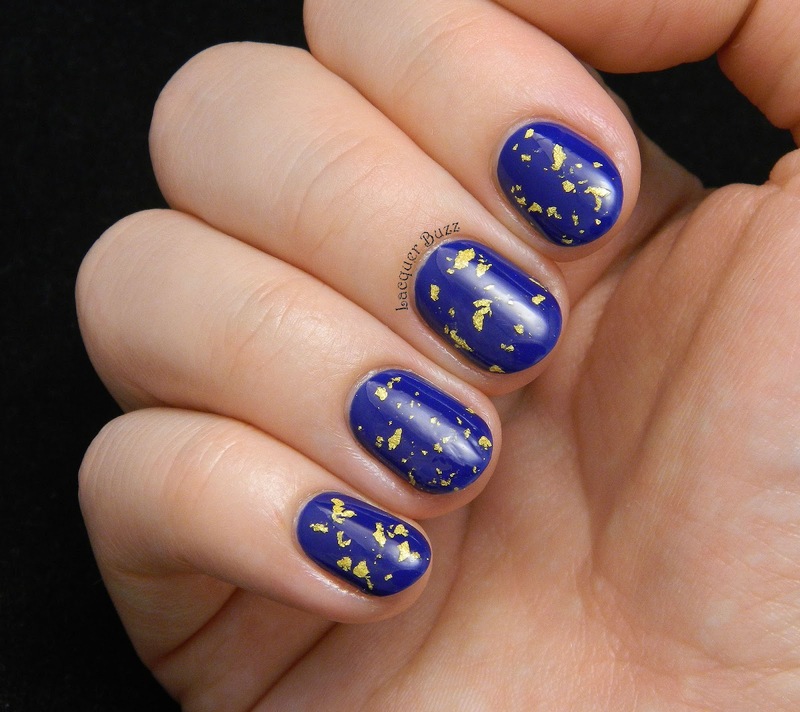 Love the pairing of the cobalt with the gold flakes!